Hi and welcome to the Event Squad's bi-weekly automated game show event! 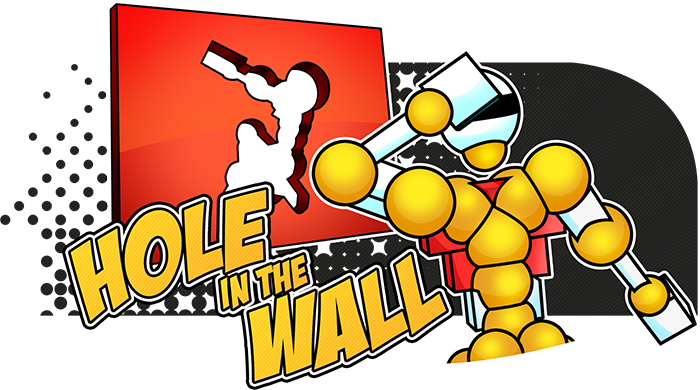 The Event Squad is proud to present Hole in the Wall! In this event we provide you with new obstacles to complete once every two weeks, and passing through each of them will allow you to win prizes! Every challenge has a different wall, which means you need to come up with different ways to pass through each time. There is also an advanced task for more experienced players which could be doing the pose, passing through the wall in some specific way and so on; completing these tasks will get you even better prizes! 1. Replay hacking is forbidden. 2. Do not change any of the game rules (ctrl + g) except turnframes. There are two ways to compete in the event. Go to News tab in game client and choose "Hole in the Wall" event and press "Participate" button on bottom right. Once you pass the wall, you'll see a "Submit" button on bottom of your screen - pressing it will allow you to upload your replay for ES to review. Keep in mind that we will only judge the first replay you upload that way, and if you want to change your entry to a different replay, you need to upload it on forums. Download the attached mod and put it in your mods folder in game client. Load it, create your replay and save it, and then make a post in this thread with your replay attached to it. If you're uploading a second entry after uploading the first one with in-game interface, please mention that. If you want to modify your replay before the deadline, edit your post and add a different replay instead, don't make a new post for each replay. Last edited by sir; 6 Days Ago at 01:17 PM..
why was my submission deleted? Last edited by Goomba; 1 Day Ago at 04:00 AM..
Last edited by Carnivorax; 1 Day Ago at 06:12 AM.. Entries posted in this thread will be checked after deadline. It's same time as previous, be patient. If you want to receive your prize as quickly as possible, upload it with game client. Last edited by Divine; 22 Hours Ago at 09:00 AM..